Easter happens to be my all-time favorite family holiday. Maybe it鈥檚 because it ushers in warm weather with bright, happy colors after months of winter, but more likely it鈥檚 because it was always a holiday that seemed easier on my single mom than Christmas. There were a few years of my childhood without an Easter ham on the table (my mom may have tried to 鈥渉oney bake鈥� an eggplant one year, but that is another story for another time), but we always had the same cute and cheery dessert at Easter regardless of finances. Now that I鈥檓 a grown-up with kids of my own 鈥攁nd, worth-noting, a fancy Baking and Pastry Arts degree making me capable of baking almost anything from scratch 鈥� I still make the same cutesy, simple cake that my mom baked every year. This is the one Easter dessert I make every year for my family. 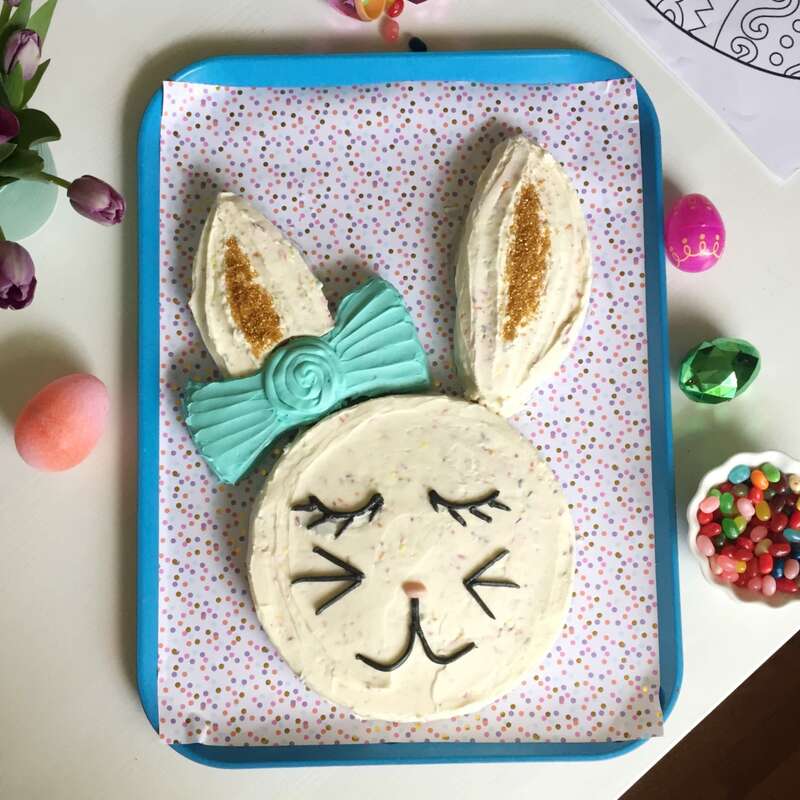 Cut from two 9-inch round cakes and puzzle-pieced together, the bunny with a bow-tie cake is an endearing classic cake from my youth. My mom made the same white bunny with jelly bean eyes and sweetened coconut flake fur every year that I can remember from the time I was 6 until I left home. 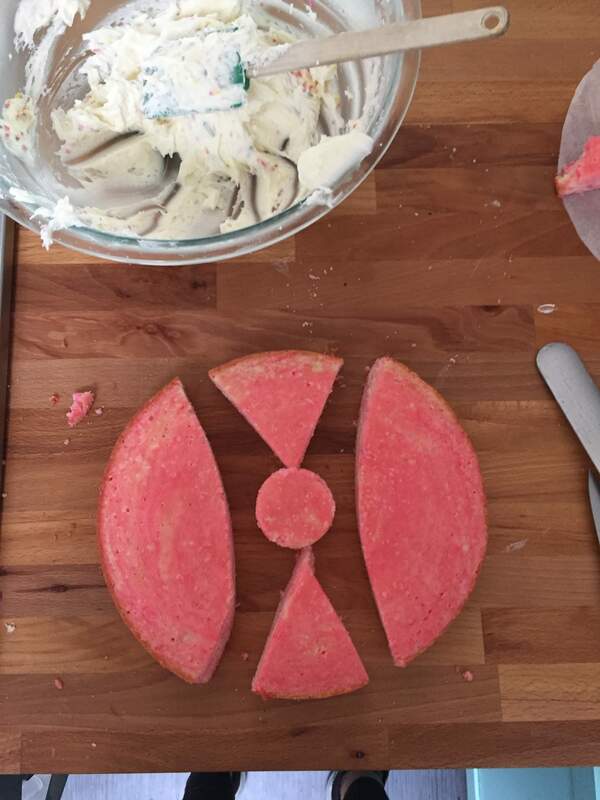 She rarely baked the cakes or frosting from scratch, but she always delighted in decorating the cake and letting us help. I love to joke that I only started cooking as a kid because I was tired of eating Rice-A-Roni and Hamburger Helper. Of course, now I totally see that my mom was always trying to make the most of her grocery budget (both time-wise and dollar-wise), cooking inexpensive and quick dinners every night. This particular cake was the antithesis of those constraints 鈥� something she baked, decorated, and shared for pure fun. My mom couldn鈥檛 quite remember when and where she got the recipe or idea, but she was (and still is) quite fond of the Betty Crocker cookbooks and cake mixes, so my money is on Betty being the original inspiration for this cake coming into our lives. 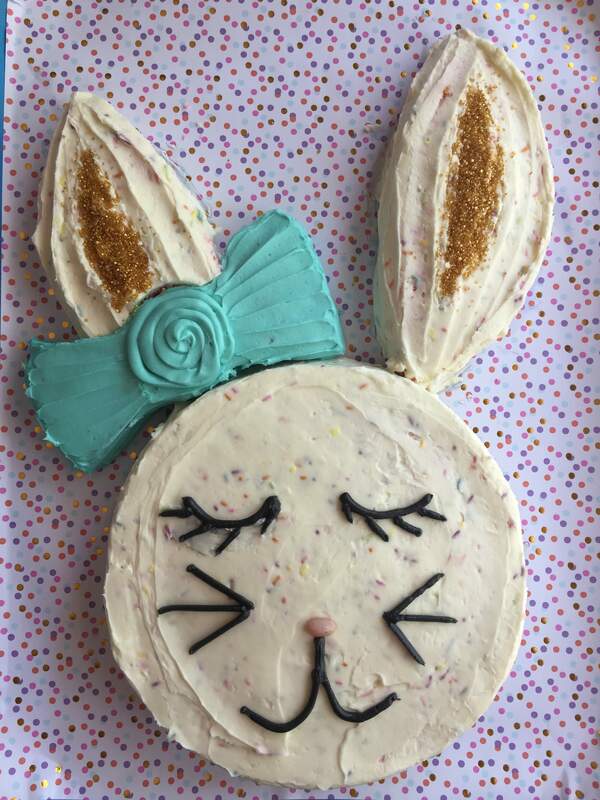 Here鈥檚 what I love about both making and eating the bunny with a bow tie cake: You can use any cake you like, from box mix to a simple one-bowl cake, so you don鈥檛 need to put a ton of thought into shopping for ingredients or decorations. It is also a bit of a homely cake, in the best sense. There鈥檚 no need for stacking or crumb coating, or any special tools for serving or decorating. 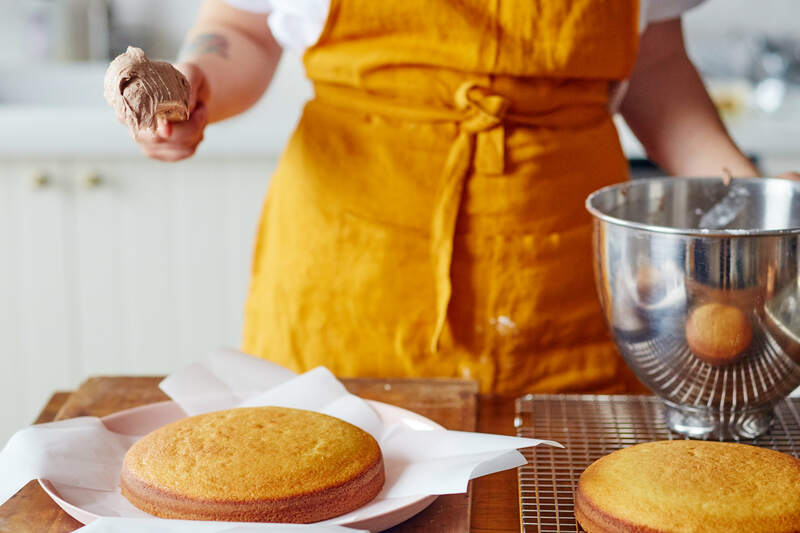 And because it has the homey appeal of a not-perfect-looking-cake already, you can get your kids involved in baking and decorating without worrying they鈥檒l ruin your masterpiece. Plus, a bunny with a bow tie that you can eat is about the cutest thing you can bring to an Easter celebration besides a live bunny. Admittedly, I usually make a different white cake (or confetti cake) each year for this 鈥渞ecipe,鈥� and we use whatever decorations we have on hand to make it, but the premise is the same: Bake two 9-inch cakes, cut one into ears and a bow-tie (or hair bow) and then arrange them together on a cake plate or serving platter and frost. Coconut flakes are optional, but a jelly bean nose is not. Not long ago, my family made a version of this cake filled with sprinkles and jelly beans and it was a big hit with the elementary school set, so in that vein (and my mother鈥檚 love of Betty Crocker), I鈥檒l leave you with the link below.